Gideon Bok (b 1966 Vinalhaven, ME) received his BFA from Hampshire College and his MFA from the Yale University School of Art. His work explores the passage of time, lived experience and the architecture of intimate work spaces such as his studio. 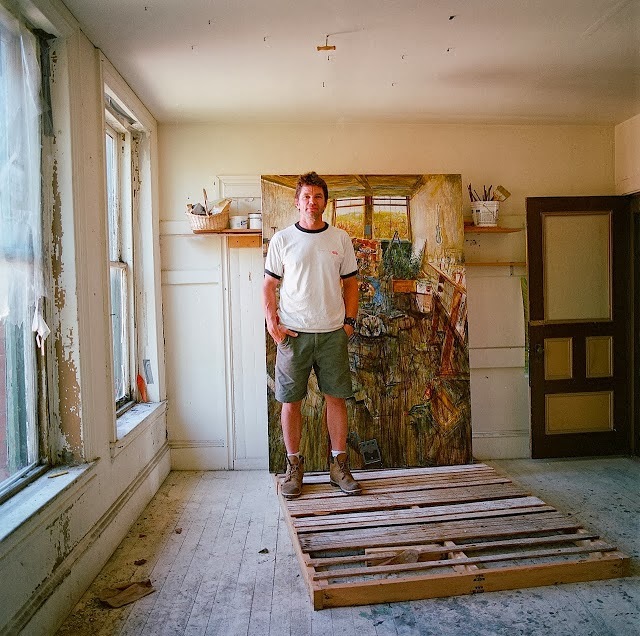 He has exhibited at numerous galleries as well as the Museum at the University of Maine, Gorham, the Museum of the College of Charleston, SC, and the Center for Maine Contemporary Art (Rockport, ME). In 2004 he received a Simon Guggenheim Memorial Fellowship and in 2005 was included in The American Academy of Art and Letters Invitational Exhibition where he received the Hassam, Speicher, Betts, and Symons Fund Purchase Award. Bok has taught at Hampshire College, Boston University, and other institutions. His work is included in the collections of the Boston Athenaeum (Boston, MA), American Academy of Arts and Letters (New York City, NY), Farnsworth Art Museum (Rockland, ME), and Madison Museum of Contemporary Art (Madison, WI) among others.